Baking cakes is fun and with two children running around the house, everything I made was consumed in less than a few hours. Friends, who were lucky enough to be around at the time of baking, always raved about the cooking and urged me to start a cake order business. Nothing says “made with love” quite like a homemade cake, whether it’s an artfully decorated children’s birthday cake, gluten-free or sugar-free concoction designed for customers with special dietary needs or an elegant wedding cake festooned with white frosting garlands. Homemade cakes can be custom-designed to suit client needs, or created for other businesses including catering companies and commercial bakeries. About 19 percent of food manufacturing workers are employed by bakeries, according to the Bureau of Labor Statistics in the online article, “Food Manufacturing.” Help your homemade cake business stand out from the competition by purchasing a cake! 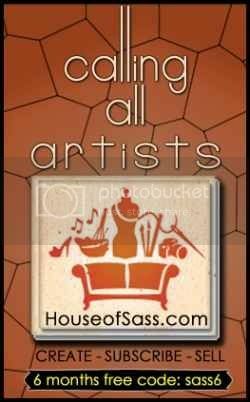 Welcome artists, and guests to the House of Sass online art collective. “Welcome to the House of Sass we are a brand new online artist collective with our primary focus to support you the artist”. House of sass is modeled after a fancy art house hotel. When you become a member you’re checked into a virtual room with a unique room number. A room number when searched lands to your store page. In essence you are given your own personal house of sass room key. As an example one of our resident artist is at houseofsass.com/room/product/31 – This resident artist’s store profile is room 31. This is a unique identifier that enables you to direct customers straight to your store or others to find you within the collective. Your store products are also searchable from the search engines as well within the Houseofsass search bar. Signing up is easy, and extremely affordable. Since we are new, initial support is very important to us. We are giving you 6 months totally free to sell your art online, during this time we will grow together. After the 6 months you will be prompted to either cancel with no further obligation or select one of 3 options for as low as $7.95 per month, with no more then $15.95 per month flat. Regardless of how many or how much your items sell for. (Learn more) We never take a percentage of your sale… Ever! Just the affordable flat monthly. Because we are a new collective we invite you to join for free for your first six months, allowing us to build the collective, and traffic to increase your overall exposure, and sales. We have made it incredibly easy to subscribe, build, and share your art store online. By easily linking your Paypal or Google checkout account, adding and or auto cropping, your product photos, and or store banner, feeding your product inventory from a excel csv or manually uploading individual products. We will continue to add new features, as we grow to enhance your overall experience with the Houseofsass.com. Thank you for your early, and continued support. Please copy this image and share it on your page or blog.